Even if you’re really responsible with your credit or debit card usage, when traveling or during a hectic week, you can easily overspend. Just like with calories and workouts, we typically assume we consume less and our workouts are more effective than they are- leading to a discrepancy between what we perceived and our actual behaviors! If your accounts run with very little cushion, set alerts on your phone to check your accounts and tally up your spending mid-month. While some banks offer text alerts when your account hits a certain dollar amount, if you’re budgeting or trying to cut your spending- you may need a personal touch to ensure you’re not overspending in one category or getting too close to the red if you have a big purchase coming up. A year after getting my new iPhone, it took a swim, completely frying the system. While my phone was under warranty for product failure, I was on the hook for user failure! Your cellphone carrier may not be the best option to replace a broken device- for me, a new phone would have been about $500-600! I asked around, and it turns out that going directly to the Apple Store was my best bet. I got a new phone that worked easily with my existing carrier for about $300, plus tax. Was it cheap? No- but it didn’t require a contract renewal or the $600 cash my carrier required. I also cracked my screen, and took it to the Apple Store for repairs. $99 isn’t great, but it did the job. You can also tape up your screen in the interim if you can’t afford repairs- just use packing tape, it’ll look terrible, but it will keep glass pieces from cutting you! 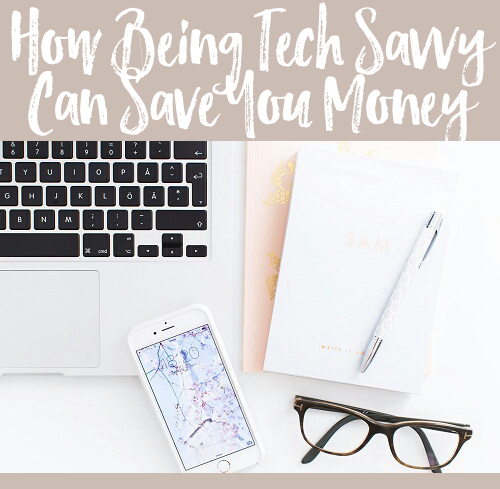 Saving money when you’re on a tight budget can be stressful- if your budget is already trimmed and your spending is lean, how can you afford to save more? When times have been tight for me, I would set up daily saving plans- of $1 a day, or $5 a week, etc. far out in advance, so I would still have money to afford what I needed, but I didn’t feel the sting of a $5 automatic transfer. 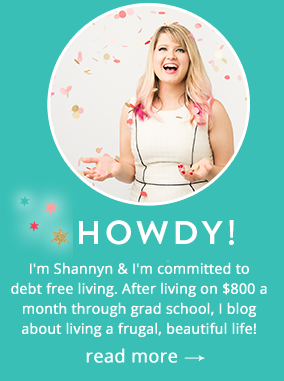 This has worked wonders for me in graduate school- at the beginning of the summer, I knew I’d need to fly home for Christmas and buy gifts, so I’d set up an automatic savings plan before the fall to plan for the coming holiday season. With $5-10 a week, I was able to afford a good enough chunk of a plane ticket home when I could snag the best deals. This also applies for weddings or baby showers. When a friend gets engaged or announces a baby is coming, start a small savings plan, even if it’s only a few dollars a week or $20 a month. You may only have 4-6 months to plan, but at least you’ll have a nest egg to get you started on upcoming expenses you can plan for! $10 a week for 6 months can easily help you make a dent without being too painful, that $240 can help cover all of those nickel and dime expenses that always come up with big life events! Chances are, you simply use your banks app to do the bare minimum required- like check your balance or find an ATM near you, but there are lots of other handy tools that you should check into! There are a lot of things we acquire from our parents because we simply don’t want to deal with it- often, we’ll go with the same insurance carriers, banks and credits cards our parents use because they know it and can vouch for it, or perhaps they set it up for us when we were dependents. If your bank is dinging you with transfer fees, doesn’t seem to have ATM’s where you need them or they lack and app that allows you to save time with mobile check deposit or online tech support, it might be time to switch. If you’re really ahead in your savings, is your bank rewarding you for having cash in the bank? If not, sign up for a new 360 Money Market — an online account offering no fees, no minimums and a high-yield 1.0% APY for balances over $10,000. Accounts that have less than $10,000 earn an everyday rate of 0.60% APY – which is still above the national average. If you’re crushing it with cash in hand, don’t stick with a bank that doesn’t reward you simply because it’s the account you’ve had for years, switch it up- you could be leaving money on the table otherwise! This is a very good idea. I may start a senior. Monthly savings plan. To see how much money we can raise. Tactic used; can vary per person.